The Atlanta Business Chronicle has selected Emory health sciences physicians, nurses and researchers as winners or finalists in its annual Health Care Heroes Awards competition. 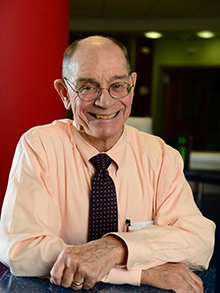 William G. Woods, MD, winner in the Lifetime Achievement category, directed the Aflac Cancer Center at Children’s Healthcare of Atlanta and Emory University School of Medicine for 15 years until his recent retirement. The center grew to become a top-ranked national program and grew from 18 to 80 faculty members and researchers, generating about $18 million annually in grants. Woods also was chief of hematology/ oncology/BMT (blood and marrow transplant) in the Department of Pediatrics at Emory University School of Medicine. Prior to joining Children’s and Emory, Woods directed the South Carolina Cancer Center in conjunction with the University of South Carolina. He is responsible for major advances in the treatment of children with pediatric acute myeloid leukemia (AML), leading two national clinical trials that transformed the treatment of AML in children, resulting in a cure rate increase from 35 percent to 50 percent. He also was principal investigator for the Quebec Neuroblastoma Screening Project, a large international collaboration and population-based study of neonatal screening for neuroblastoma. Wendy Armstrong, MD, winner in the Physician category, is medical director of Grady Health System’s Ponce de Leon Infectious Disease Clinic and a professor of medicine at Emory University School of Medicine. She is at the forefront of efforts to combat the HIV/AIDS crisis and provide affected populations with the treatment and knowledge they need to prevent the spread of the virus. She directs the care of nearly 5,000 AIDS patients who come to the center for medical care and mental health, substance abuse and dental treatment. As co-chair of the Fulton County Task Force on HIV/AIDS, Armstrong helped develop Fulton’s plan to address the growing number of HIV/AIDS cases in the county and has championed the creation of a new clinic that will provide the HIV prevention drug, Truvada, free to people with a high risk of contracting the disease. Armstrong is chair-elect of the national HIV Medicine Association, chair of the Training Program Directors’ Committee of the Infectious Disease Society of America, program director for Emory’s Infectious Diseases Fellowship Program and is active in the Emory Center for AIDS Research. Nitika Gupta, MD, finalist in the Physician category, is a pediatric hepatologist, director of Children’s Healthcare of Atlanta’s Adolescent Transplant Program and associate professor of pediatrics in Emory University School of Medicine. Gupta has a special interest in post-transplant medical issues and easing the transition from pediatric care to adult care for post-transplant patients or patients waiting for transplant. Patients in the Adolescent Transplant Program, established in 2015, have appointments each month at Children’s and also work with specialists at Emory University Hospital to promote seamless care. 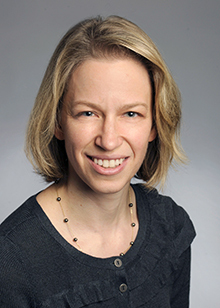 Amelia Langston, MD, finalist in the Physician category, is medical director of the Bone Marrow and Stem Cell Transplant Program at Winship Cancer Institute and professor of hematology and medical oncology in Emory School of Medicine. Langston leads a team of specialists who treat the most complicated cases of blood cancer, and they will soon celebrate the 5,000th bone marrow transplant at Emory University Hospital. Langston joined the Winship team in 1998. She is known for her passion and enthusiasm in working with both patients and colleagues and for her keen understanding of the science behind transplant medicine and how to relate that to clinical care. Lisa Muirhead, DNP, APN- BC, finalist in the Allied Health Professional category, is clinical assistant professor and adult nurse practitioner in Emory’s Nell Hodgson Woodruff School of Nursing. In collaboration with the Atlanta VA Medical Center, she leads a program that provides specialty education in veteran care for undergraduate nursing students and creates new faculty positions held by VAMC nurses who train academically at Emory. Now in its third year, the VA Nursing Academic Partnership program is using a $4 million grant from the U.S. Department of Veterans Affairs to fund 10 new faculty positions and add 100 BSN students over five years. Emory’s TAVR Team, including Vasilis Babaliaros, MD, Peter Block, MD, Robert Guyton, MD and Vinod Thourani, MD, are finalists in the Health Care Innovation category. Since 2007, this team of Emory physicians has helped revolutionize the treatment of severe aortic stenosis, leading the national effort to study and advance a new nonsurgical procedure called transcatheter aortic valve replacement or TAVR. TAVR is a lifesaving alternative for patients at high risk for open-heart surgery, allowing a physician to replace a failing aortic valve through a catheter inserted through a small incision in the thigh or the side of the chest and delivering a fully collapsible replacement valve to the diseased valve site. Emory physicians laid the groundwork for TAVR years ago, and the team has spent nearly a decade bringing it to critically ill patients, performing approximately 1,500 TAVR procedures to date, publishing numerous studies and amassing the largest body of experience in the Southeast and among the top five U.S. sites. David Weiss, PhD, finalist in the Rising Star category, is director of the Emory Antibiotic Resistance Center and assistant professor of medicine at Emory School of Medicine and Yerkes National Primate Research Center. Recognizing Emory’s broad expertise in infectious diseases, Weiss has helped researchers and clinicians join together to combat what he calls “the antibiotic resistance crisis.” The center’s comprehensive approach includes microbiologists probing mechanisms of resistance, chemists searching for new antibiotics, and pathologists refining methods for detecting dangerous bacteria. Public health experts are working with physicians on better antibiotic stewardship, expanded surveillance, and strategies to help health care systems avoid infections in the first place. Judith Wold PhD, RN, ANEF, FAAN, a finalist in the Community Outreach category, is distinguished professor for education leadership in Emory’s Nell Hodgson Woodruff School of Nursing. Wold is best known for leading the Farm Worker Family Health Program to provide health care services to migrant individuals in Moultrie, Georgia. Each June, up to 80 Emory nursing students spend two weeks in Moultrie caring for 1,000 men, women, and children. The program has provided health care to more than 13,000 people since its formation in 1993. Under Wold’s leadership, the program expanded its services by including students and faculty from Clayton State University, Darton State College, West Georgia Technical College, Georgia State University, and the University of Georgia. Students and faculty provide primary care, dental hygiene, pharmacology, psychology, physical therapy, and other services for seasonal farm workers who have limited access to health care.